On par with Zacapa 23 Good, but it has too much harshness from oak. Sip able, but not for long. Drink it occasionally, but don't make it a regular. Better than most Clean, good flavor so, not too hot, but hard to find. The best of the Atlanticos Much better than it's Atlanntico siblings, but too hard to really enjoy regularly or in quantity. 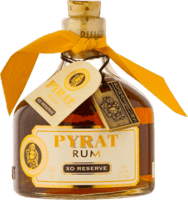 Good, but that's all This is an above average rum, but nothing to go out of your way for. The bottle/presentation is great. Ok, but buy the 12 year instead The 12 year El Dorado us spectacular, but adding 3 years turns it into the much harsher 15. If you have a choice, get the 12 instead of this. Great presentation, average taste Great nose, but the taste just doesn't live up. It's good, but not great. Edges out 1919 Looks far richer and gives the impression of much more developed flavors that 1919, but only tastes slightly richer. A disappointment. A bit harsh This is probably the highest rated rum that I would only use as a mixer, no sipping. The sipping quality just isn't there. Just ok A good bit if harshness, and not a lit if flavor, but good for mixing. Pretty package, but no substance Very expensive, and a spectacular presentation, but hot, harsh, and bitterly oaky. Not worth the price at all. Doesn't impress me Pretty highly rated on a lot of sites, but I just consider it medium-average. 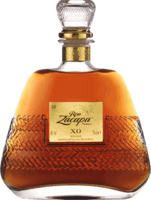 Just ok Not fad, but it doesn't gave the richness and depth of flavors that I consider to be indicitive of quality rum. Too hot for my tastes Very hot, average flavors, and too hot of a finish. Not worth your time. Thin flavors Not bad, but almost tastes watered down. The flavors are faint. Needs sweetness Fairly hard to find. The flavors are weak, and could benefit from some sweetness. Mor oak than I like to have in a rum. El Dorado Cream tops this. The initial taste is good, but the blend of spices is off-putting and too much. Maybe mix it with coffee, but find something to mix it with. Very smoky Very smoky, but lacks the sweetness that it desperately needs. Good with Coke. Slightly above average Great bottle, mediocre an unremarkable rum. Looks impressive, but the quality taste just isn't present. Disappointing. A step up from Bacardi. I think that they are shooting for a sipper, but it greatly misses the mark. Mix it up I agree with others. Use it for a rum and Coke, but leave it there. Stunningly bad Thus gas to be what 85/15 gasoline tastes like. Don't buy it to drink it. When you can't find Malibu Nothing more than a knockoff of Malibu. Flavor tastes oily and artificial. Mixer only. Colored white rum? Pretty much just tourist rum. The poster child for soul less small company commercial rum. High schooler rum It sounds exotic, and will get you drunk quicker than regular Bacardi rums, but that's the limit of its abilities.